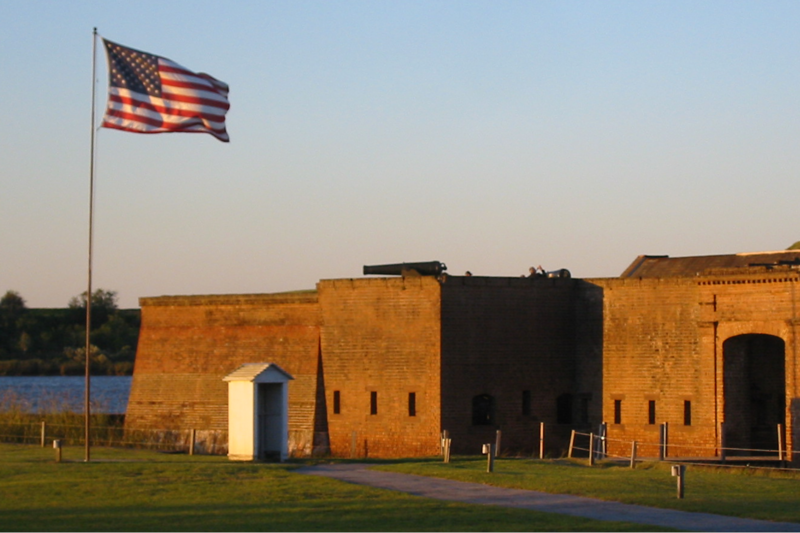 Join Kelly Tours-Gray Line as you get to explore Old Fort Jackson, one of Georgia's oldest standing brick fortification dating back to the early 1800's, a National Historic Landmark. 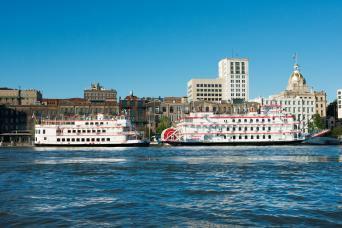 Tour includes a daily cannon firing, re-enactments, artifacts and beautiful views along the Savannah River. Following the Old Fort Jackson tour we will stop at the famous Paula Deen's new restaurant the Creek House for lunch on your own. History of Old Fort Jackson & Bonaventure Cemetery Tour Combo with lunch on own at the famous Paula Deen's new Creek House Restaurant. Lunch - Purchase on own and not included in the price. Wednesday morning tour departs at 10:30 a.m. only. I thought the money was a good deal for a half day tour. 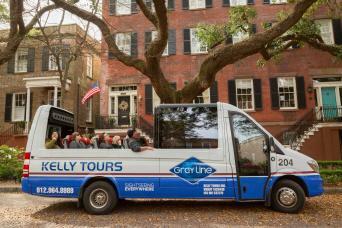 Join Gray Line for a half day tour of 2 of the city’s most popular attractions outside of the Historic District. Old Fort Jackson, one of Georgia’s oldest standing brick fortifications dating back to the early 1800’s, a National Historic Landmark, and only a 10-minute drive from downtown. Old Fort Jackson offers a fun-filled experience which includes a daily cannon firing, re-enactments, artifacts and beautiful views along the Savannah River. Following the fort tour, we stop at the famous Paula Deen's new restaurant the Creek House for lunch on your own. Following lunch, the day continues to Bonaventure Cemetery to learn about the lives of notable inhabitants like Academy Award-winning songwriter Johnny Mercer, Georgia’s first governor Edward Telfair, philanthropist Mary Telfair, as well as the tragic tales of poet Conrad Aiken and Gracie Watson. The 2 hour Bonaventure Cemetery walking tour meanders under moss draped oaks and along the bluff of the Wilmington River through one of the most beautiful cemeteries dating back to 1846 with the ones that know Bonaventure Cemetery the best. Adults $49.00 (12 and up) and Children $35.00 (11 and under). Mini Bus departs from both the Savannah Visitors Center at 301 Martin Luther King Blvd. 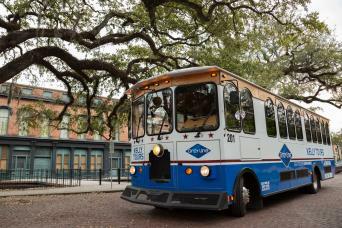 Kelly Tours - Gray Line Savannah offers a departure time: 10:30 a.m. only.